Refillable ant bait boxes to control ants on patios, balconies as well as indoors. Ants will carry the bait directly into the nest, where it exterminates the entire nest. Good visibility of bait consumption due to transparent lid. 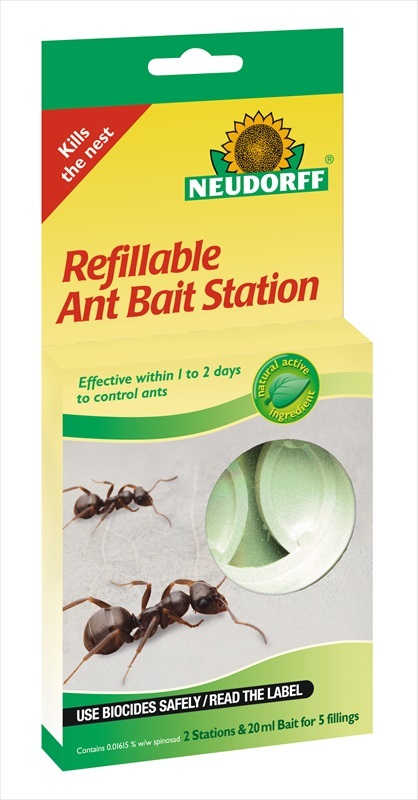 Contains 2 bait stations and 20ml ant bait liquid.